Fat and juicy overdrive sounds with a hint of fuzz. Produces the sought after thick tone even when played into a clean amplifier. One of the most sought-after guitar tones is a combination of a great overdrive or fuzz pedal into overdriven tube amplifier. 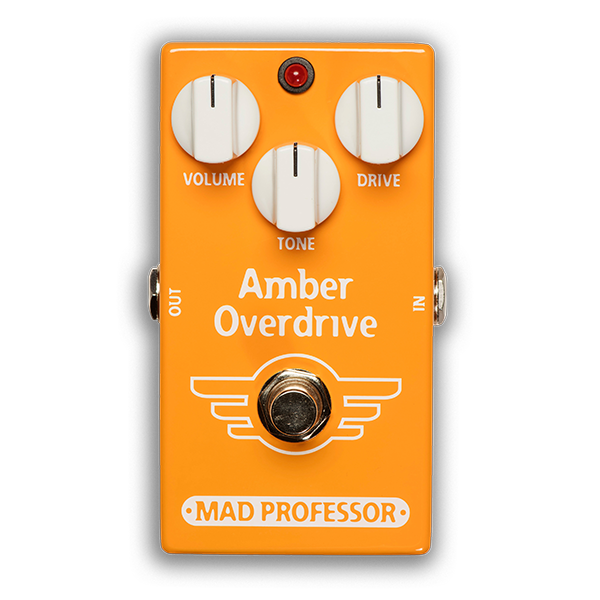 Amber Overdrive produces this sound even when running through a clean amplifier. It produces a very thick sound whether playing chords or single notes – fat and juicy with just a hint of fuzz.